The goal of high voltage testing is to find near shorts, such as where insulation is weak. The near short may not be an issue at first, but over time and use the insulation will continue to wear until the short is present. This could cause dangerous situations. Testing with high voltage will find potential shorts before they become a problem. High voltage tests will not damage the cable, not even if there is a potential short. However, there is one high voltage test that can destroy cables. The dielectric breakdown test will increase the voltage until the current increases. 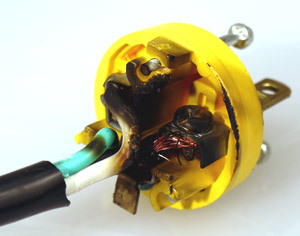 It will find the highest voltage the cable can stand before damaging or destroying the cable. Unless performing a dielectric breakdown test—intentionally damaging the wire—high voltage testing will not damage a cable.